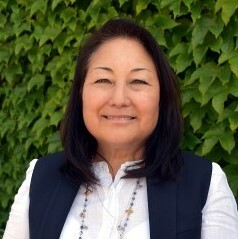 The National Association of Landscape Professionals (NALP) has named H. Jaclyn Ishimaru-Gachina as the 2019 Woman Entrepreneur of the Year. The award recognizes a member who has demonstrated entrepreneurial spirit and initiative, ensured advancement of the landscape industry by actions and endeavors and serves as a shining example to current and future female entrepreneurs. This award will be presented at NALP Landscapes 2019 in Louisville, Ky., this October. The award was established in 2015 and Ishimaru-Gachina is the fifth recipient of this honor. Ishimaru-Gachina is president and co-founder of Gachina Landscape Management; she assumed the role of president and CEO upon the passing of John Gachina in December 2015. In 2018, Gachina Landscape was certified by the Women’s Business Enterprise Pacific Region and is also a minority-owned business. Ninety-one percent of Gachina’s employees are a minority, and the organization includes cultures from more than 10 countries. The company has grown from three to over 450 employees. Ishimaru-Gachina actively oversees the day-to-day operations and the company will be celebrating its 31st anniversary in July. Gachina has been named in the top 25 woman- and minority-owned companies by the San Francisco Business Times the past three years. Ishimaru-Gachina’s initial mission was to honor John Gachina’s legacy by leading the company and not selling. She continues his vision of leading the green industry in sustainability, water management, farm-to-table, client satisfaction and valuing employees through continuous improvement – known in Japanese as Kaizen. She is active in various local, state and national trade organizations. Personally and professionally, Ishimaru-Gachina is committed to the community. She generously supports multiple community outreach programs throughout the year with volunteers, landscape materials and cash donations.